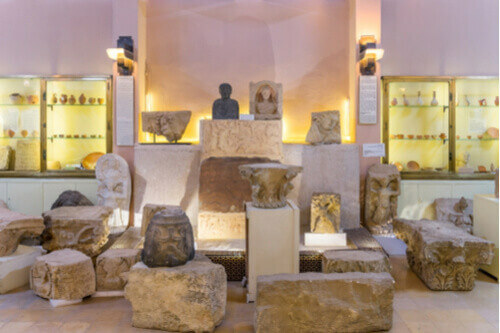 To start at the beginning in Amman would be to journey back to the Neolithic period: its Ain Ghazal excavation site uncovered during the 1970s has grown to a 30-acre site, the striking statues from which are now on display in the National Archaeological Museum, just one of many cultural centres that prove popular with tourists. The entry fee of just JD2 (AU$4) is typical of the good value on offer in Al-Balad, the city’s Old Town district, which you can navigate by foot while you also browse various souks and shops. 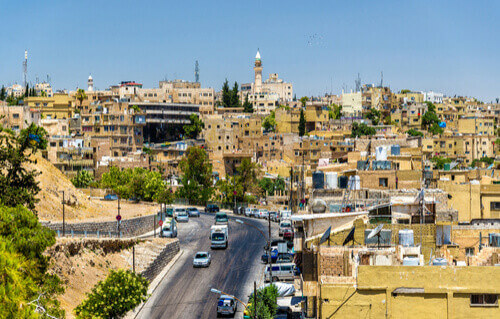 Originally built around seven hills, Amman has as many stairs and inclines as you would expect however, these present another opportunity to explore its historic sites. 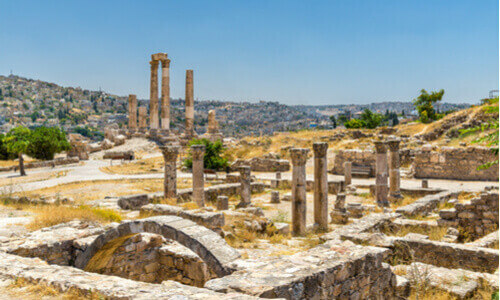 Journey up to the citadel to visit a mix of Roman, Byzantine and Islamic monuments – the most famous of which is arguably the Roman amphitheatre that looks back down over the city, entrance to which can also be gained for JD2 (AU$4). If you need to stay hydrated before or after reaching the vantage point for a perfect photo opportunity, refresh yourself at one of the juice stands that pop up across the city, or make time for a quick coffee, which will be prepared either hilo (sweet), adi (medium-sweet) or sada (unsweetened). Food and drink is another area where Amman excels itself: unafraid to re-imagine international cuisine, try the Jordanian take on a steakhouse, Salt, or a pizza with labneh – a thick, savoury yoghurt flavoured with seasonal herbs (we’re fans of the Pizza Roma and Pizza al Reef versions). More traditional fare can be found at these establishments and throughout the city. Start your day with flatbread or sesame bread and hummus along with your morning coffee, before tucking into falafel or a hearty salad for lunch. The downtown roads known as Rainbow Street and Mango Street are popular destinations partly for the food and drink on offer. 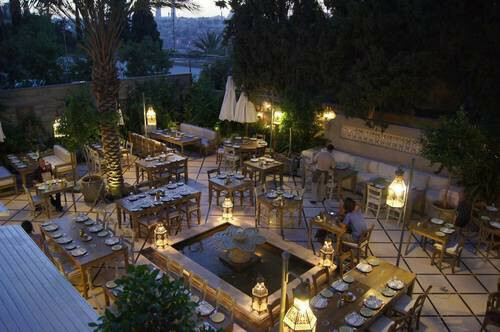 Enjoy lunch or dinner on the terrace at Sufra, where hot and cold mezze are available, along with hearty meat stews baked “slowly and to perfection” in clay pots. Anyone with a sweet tooth is advised to visit Al Quds – also on Rainbow Street – for its wide variety of pastries. 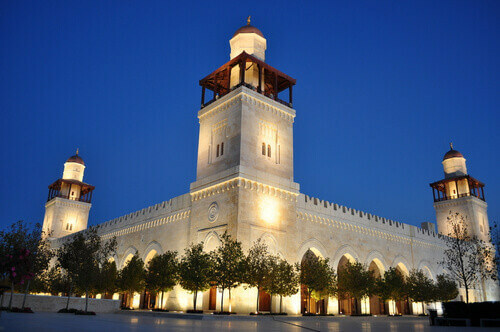 Modern art and architecture sit alongside Amman’s many historic sites – the King Hussein Mosque was rebuilt in the 1930s, but like many of the city’s attractions retains strong links to its past. Galleries such as Darat Al Funun combines a library with its sculptures and paintings, all housed within a series of striking 19th-century villas on the north side of the downtown area. Once you’ve had your culture fix, Amman extends its hospitality long into the night: clubs such as Flip and Radiance all know how to create a party atmosphere. If you’d rather finish your evening in more sedate surroundings, rooftop bars such as Iguana Rooftop and Ghoroub (inside the Landmark Hotel) in the third circle are two of many that will enable you to watch the sun set on this storied city with a modern twist.